Sabrina Sussman is Zipcar’s manager of public partnerships, where she collaborates with leading cities, organizations and policy makers to accelerate the growth of car-sharing as a vital, sustainable part of the urban transportation ecosystem. Before coming to Zipcar, Ms. Sussman was a senior policy advisor for New York City Mayor Bill de Blasio, working on behalf of the mayor with federal agencies, city agencies, and congressional offices. Her portfolio included federal policy and appropriations work on transportation, housing, infrastructure, city planning and economic development. Ms. Sussman’s career began at the US Department of Transportation, working as special assistant to the under secretary for transportation policy before moving on to the role of vice president for membership and development at the Intelligent Transportation Society of America. 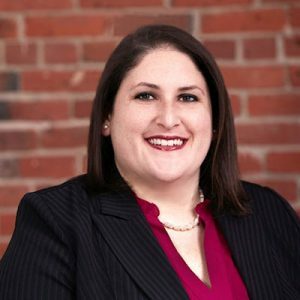 A proud personal and professional advocate for pedestrian safety and mobility, Ms. Sussman holds a Masters in Political Management from The George Washington University, and a Bachelors in Communications from American University.